Love art? The Museo Nacional del Prado in Madrid houses one of the largest collections of European art in the world. Boasting around 7,600 paintings, 1,000 sculptures, 4,800 prints and 8,200 drawings as well as a plethora of historic documentation and other works of art, The Museo Nacional del Prado is definitely somewhere to drop into if you find yourself in Madrid and fancy some high brow nourishment for the brain. El Prado is one of the most visited museums in the world, and is considered by most to be one the most prolific museums of art on the planet. The Museo is the main Spanish national art museum and is located in central Madrid on the Paseo del Prado (one of the main boulevards in the city). It is located on the densely tree-lined paseo which is a landmark for the many city residents who utilise it and houses the museo on the so-called “Golden Triangle of Art”, which encompasses the Museo del Prado, the Thyssen-Bornemisza Museum and El Museo de la Reina Sofia. The museum dates back nearly 200 years and its unique origins and nature are mainly due to the tastes of Spain’s 16th- and 17th-century monarchs. The museum is described as a museum of painters not paintings as it possesses the largest holdings of work by Bosch, Titian, El Greco, Rubens, Velázquez and Goya, some numbering more than 100. 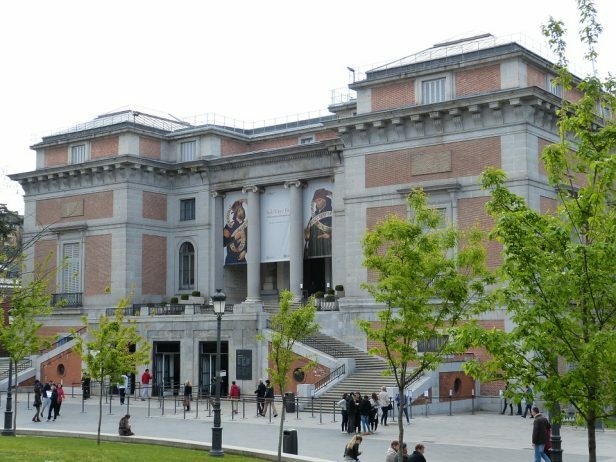 The Museo del Prado has played a key role in the evolution of art history and continues to do so as it opens its doors to art lovers from all over the world and inspires them with some of the greatest works held from some of Spain’s most beloved artists. Are you an avant-garde painter seeking inspiration, or are you a refined appreciator of the old masters and find yourself with a hunger for some art history? Which ever camino (path) you choose during your stay in Madrid, ensure it passes by the Museo del Prado in Madrid. The masters are waiting! Paseo del Arte: 28.80 € – It includes admission to the Museo del Prado, the Museo Thyssen Bornemisza and the Museo Reina Sofía with a 20% discount on ticket prices. Valid for one year after the purchase date.